Extracting that wisdom tooth ! THERE is every chance that your wisdom teeth will give you no trouble. But a vast majority of the population complains that the wisdom tooth (the last tooth on either side of each jaw) and its related inconveniences are like the tidd, they rise and fall at almost regular intervals. Just when you think the symptoms have subsided with a course of antibiotics, the discomfort resurfaces. 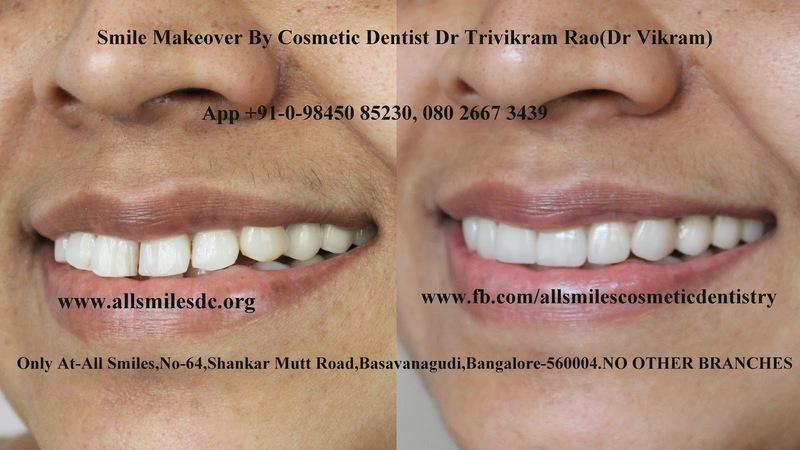 Be it infection around the wisdom tooth called pericoronitis or recurring decay in the tooth, it’s nuisance nevertheless and the best option would be to get the wisdom tooth removed. The steps involved in the extraction of a wisdom tooth and subsequent post extraction care are given below. 2. Numbing the tissues surrounding the wisdom tooth :A local anaesthetic injection is given inside the mouth, which blocks the sensation in that particular area. 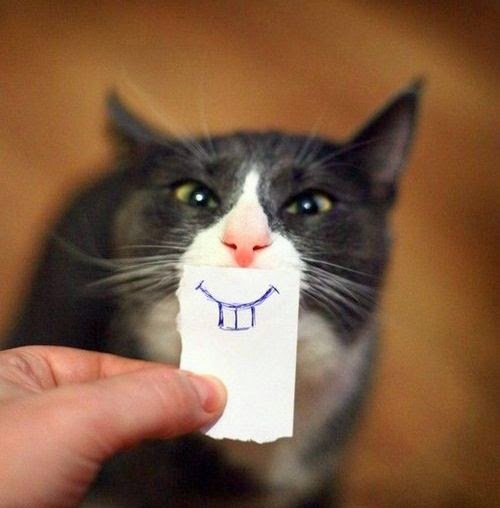 Sedation to the patient by drugs like Valium half an hour prior to the surgery provides a marked reduction in anxiety. Sometimes the whole procedure is done under general anaesthesia if the condition demands it or if the patient wishes so and is a joint decision taken by the dentist and patient. 3. Access to the wisdom tooth within bone :An incision is made in the gums and a flap of tissue is reflected. A portion of the bone that lies over the wisdom tooth is removed with a special drill. To minimise the amount of bone that must be removed to get the wisdom tooth out, the dentist will often section the wisdom tooth into parts during the extraction prodedure; each part is smaller than the whole tooth, each can be removed through a small opening in the bone. 4.Actual extraction of the wisdom tooth :A local anaesthetic injection is given inside the mouth, which blocks the sensation is that particular area. Sedation to the patient by drugs like Valium half an hour prior to the surgery provides a marked reduction in anxiety. 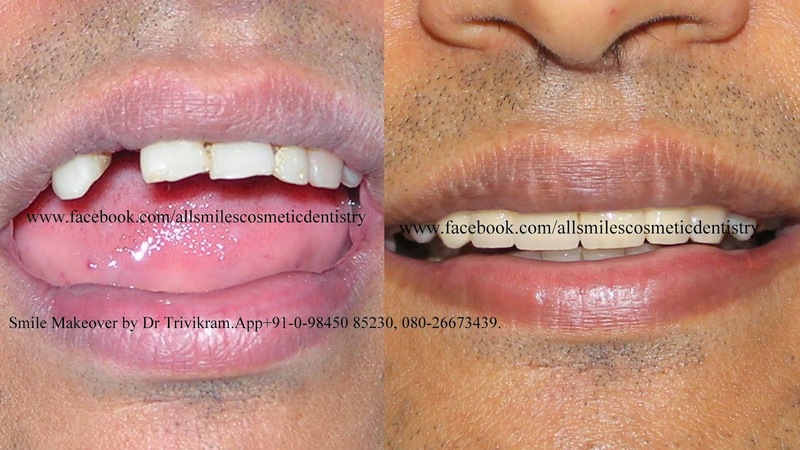 Sometimes the whole procedure is done under general anaesthesia if the condition demands it or if the patient wishes so and is a joint decision taken by the dentist and patient. 5.Stitches :Once the wisdom tooth is out, the overlying tissues are sewn up and the patient is asked to take an appointment after a week for removal of the stitches. 1.Swelling :Invariably there is swelling on the side of the face the wisdom tooth was removoed. Its natural and is the body’s reaction to the removal of bone and tooth. It comes down gradually in 2-3 days but can be hastened by the application of ice packs. 2.Tooth extraction site : The tooth extration site ought to be kept clean as far as possible but should not be meddled with so as to not disturb the blood clot that would have formed inside the socket. Rinsing with warm salt water 2-3 times a day is recommended. 3.Dry socket :This is due to the blood clot having failed to form or having dislodged from the socket. It happens after difficult or traumatic teeth extractions. There is a dull throbbing pain radiating to the ear and a foul odour in the mouth; however there is no pus. See you dentist immediately; he will removed dead bone (sequestrum) if any and place a medicated dressing. When Your tooth pops out ! FUNNY as it may sound, there are chances that an entire tooth could pop out of its socket in the mouth as a result of a fall or other accidental means. Well, the good news is that you could have it back in place in your mouth if your’re able to preserved it well and transport it safely to your dentist within a stipulated time period. Such an injury is termed ‘avulsion’ and is three times more frequent in boys than in girls and occurs most commonly in children 7 to 11 years of age. periodontitis in adult where in extreme cases as a result of bne loss, teeth fall out due to loss of support. Teeth replanted within 30 minutes after the avulsion showed better retention than those replanted more than 2 hours after the injury. If the avulsion has occurred in a clean environment, the parent can replace it in the socket immediately and hold it in place with light finger pressure while the patient is brought to the dental office. If the tooth is dirty, an attempt should be made to clean it, but it is very important to preserve any remnants of the supporting tissues that are still attached to the root. The best way to clean the tooth is by gently washing it with milk; tap water and chemical agents are not recommended. The tooth must be kept moist during the trip to the dental office and could milk or the patient’s own saliva are the best storage media. A sterile cotton pellet may be placed over the socket and the patient is asked to bite with to control bleeding if any. The dentist examines the socket and once he confirms that there is no fracture of soft tissue injury and the tooth is intact, he replants the tooth immediately. If he parent has already replanted it like mentioned before, he proceeds with stabilizing the tooth with a splint wherein supports of the neighboring teeth are taken to immobilize it. Stabilization for replanted teeth is required for seven to 14 days. The patient is advised not to bite directly on the replanted tooth for three to seven weeks after the injury and gradually to begin using it normally. All replanted permanent teeth have to undergo root canal treatment, which is begun two to three weeks after the injury and before the splint is removed. The dentist will decide the treatment agenda depending on the age, amount of root formation and presence of adjacent un-erupted teeth in the patient. Just like you would put back a cap that has fallen off your head, with a little knowledge and presence of mind, you can put back your tooth and smile! The author can be contacted at ALL SMILES DENTAL CLINIC,080 26673439, 9845085230.
if you lose your tooth- here is the solution. 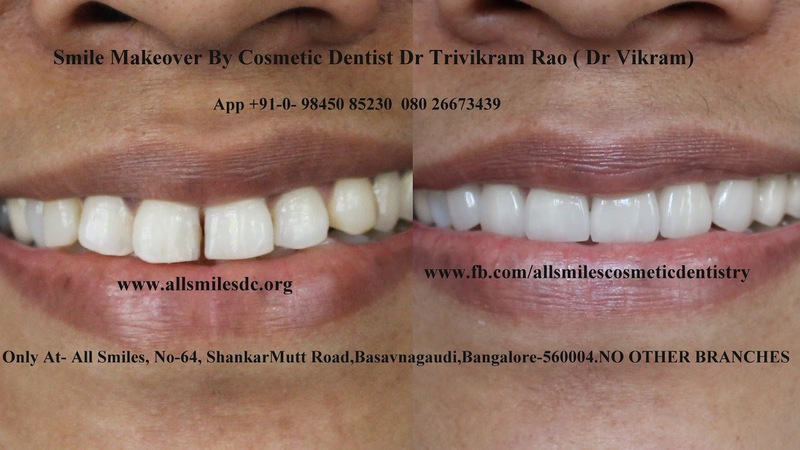 Labels: composite veneers, Cosmetic dentistry, Dental implants, Root canal treatment in Bangalore, Smile designing, Smile makeovers, Teeth whitening in bangalore.Instant teeth whitening. Dental care during pregnancy.A few important facts to know. PREGNANT women when struck by toothache are quite often in a dilemma. There is apprehension about undergoing dental treatment in this phase which is justified arguably. 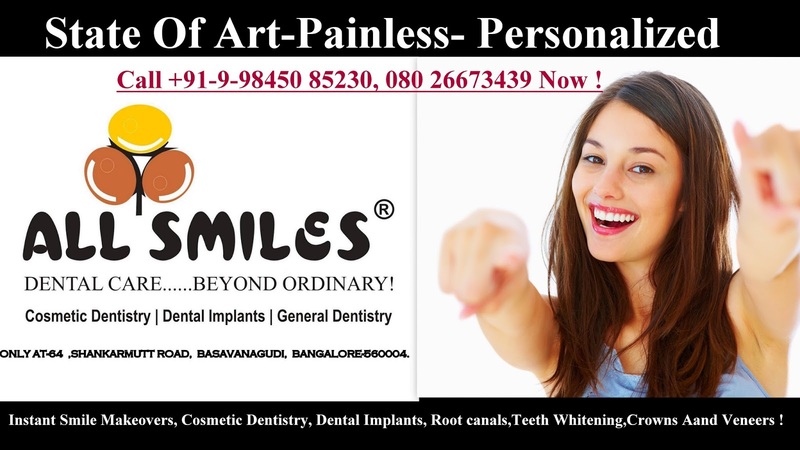 The urgency in getting rid of the unbearable dental pain is weighed against the gravity of the possible consequences. Anxiety being the main ingredient, the significance of following few specific instructions while at the dental care office cannot be overemphasized. 2. Many pregnant women get gestational diabetes (diabetes during pregnancy) or pre-eclampsia (high blood pressure and protein in the urine). Its always better to get sugar levels tested and blood pressure checked before undergoing dental treatment even in the second trimester. 3. Long, stressful appointments and periodontal surgical procedures should be avoided. the appointments should be short and the patient allowed to change positions frequently. A fully reclined position should be avoided as it causes pressure on the inferiorvenacava and aorta which in turn may result in low blood pressure, syncope and loss of consciousness. 4. Radiography are contra indicated in all but emergency situations. When taken, lead shielding is mandatory. 5. Other precautions relate to the potential toxic or teratogenic effects of therapy on the fetus. Ideally, no medications should be prescribed unless the situation is an emergency. The patient’s obstetrician should be consulted as to whether a drug could cross the placenta or cause fetal respiratory depression. 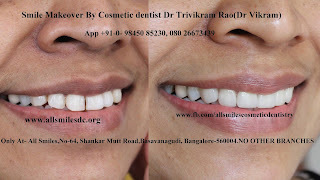 Labels: Cosmetic dentistry, Dental implants, Dr Trivikram Bangalore, Dr Trivikram dentist, Dr Trivikram Rao, Dr Vikram, Instant composite veneers, Root canal treatment in Bangalore, Smile designing, Smile makeovers.